Happy Halloween! 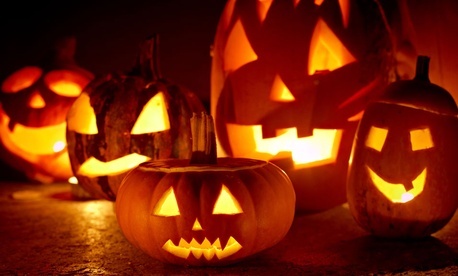 In the world of federal employees and retirees, there are several items that could be characterized as tricks or treats, depending on your point of view. Let’s look at some of them, and you be the judge. It looks like 1 percent is the number. That’s what President Obama proposed in his budget, and neither the House nor the Senate has taken action to block it. If there’s no specific language approved that would prevent the boost, it goes into effect at the beginning of 2015. For uniformed military service members, the raise could be as much as 1.8 percent. That’s what the House has tacitly backed, while the Senate has favored the same 1 percent that civilian federal employees are slated to get. So the jury’s still out at this point. For federal retirees under either the Civil Service Retirement System or the Federal Employees Retirement System, the figure for 2015 will be 1.7 percent. (FERS annuitants under 62 will not receive the COLA unless they retired under disability or special provisions for law enforcement, firefighters or air traffic controllers.) Social Security beneficiaries and military retirees are slated for the same boost. The 1.7 percent increase is better than this year’s hike of 1.5 percent. But the National Active and Retired Federal Employees association is still calling it a trick. NARFE says the formula used to calculate the annual adjustment is “out of sync with the reality faced by millions of federal annuitants, Social Security recipients and military retirees.” The current Consumer Price Index calculation on which COLAs are based doesn’t take into account the fact that retirees spend much more on health care than the general population, the organization says. There will be no change in the premium for 2015. Most people pay the Part B premium of $104.90 each month. However, if your modified adjusted gross income as reported on your IRS tax return from two years ago is above a certain amount, you may pay more. Next year, the average premium rate will increase by 3.8 percent. (For non-postal employees, the figure is 3.2 percent.) The Office of Personnel Management noted that this is the fourth straight year the increase has been below 4 percent -- a streak that hasn’t been matched since the 1990s. But for many employees and retirees, it just looks like another bite out of their checks. The increased premiums, along with relatively low salary and COLA hikes on the horizon, mean that many people will not have too much additional cash in their pockets next year. But if they take full advantage of FEHBP open season, they might find some treats that could lower their costs next year. Next week, I’ll present some options to consider during open season.